Hans van Rijn is the Country Manager for The Walt Disney Company Nordics where he also has direct responsibility for the local media business. 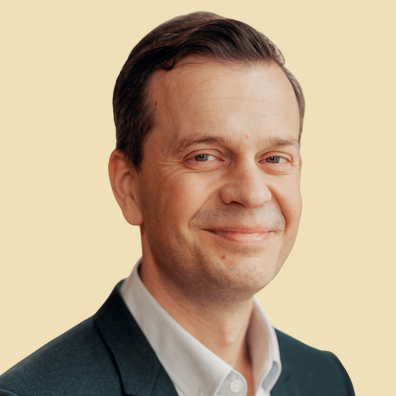 Hans joined the Walt Disney Company following the acquisition of 21st Century Fox, where he was GM for the Nordic region of the Fox Networks Group (FNG), driving engagement and value from linear and digital video products reaching +14m people on a monthly basis. Since joining FNG in 2017, he has been a driving force behind new, groundbreaking partnerships in the region including the launch of a new streaming and TV service in Denmark with YouSee, the consolidation of the Finnish TV advertising market with Sanoma Media, becoming the strategic partner of Nordic Entertainment Group and the roll out of FOX+, National Geographic+, the National Geographic free-to-air channel in Finland and the Xee brand in Denmark. Prior to joining FNG, Hans held the role as Vice President, Global Digital Strategy and Business Development for Discovery Networks International across its five regional operations in Europe, Middle East, Africa; Latin America/US Hispanic and Asia-Pacific. This included overseeing 20 premium online video services, 100 channel websites, 60 YouTube channels and 300 social media services. Previously, Hans also worked as Nordic Director, Business Development & Digital Media at SBS Broadcasting, where he built the digital business of SBS Media with its portfolio of market leading TV and Radio brands in the Nordics. He was also part of the SBS Nordic management team that secured the sale of the Nordic operation to Discovery Inc. He has also held positions at SBS Radio (Group Programme & Marketing Director, Nordics & CEE) and ProSiebenSat.1 Media (Group Programme & Marketing Director – Music TV). Throughout his career, Hans has achieved multiple successes in the audio and video landscape including leading roles in devising and executing user-centric products in OTT, audio streaming, TV and radio across Europe.